The technical language spoken in your company. The type of document you want to translate. The format in which the translated texts will be displayed. The audience that will read your translated documents. Your work schedule, deadlines and budget. General business texts, such as business letters, emails, the CVs of your company employees for international tender processes, corporate identity manuals, international cover letters, press notes, promotional materials, websites, etc. Bids for tenders, wills, powers of attorney… Any document that might be submitted to a public body. Academic or professional certificates, contracts, assignments, applications for subsidies or funding… Any document that might have a legal effect with respect to an official body. Medical and pharmaceutical documents, such as medical journals, drug prospectuses, hospital reports, technical papers, etc. Technical documents such as system and machine manuals, blueprints, technical specifications, price lists, check and review computer programs, patent and trademark applications, etc. A fast, reliable, high-quality translation that really adapts to your work schedule. A professional translation performed by qualified translators specialising in your industry and in the type of document to be translated. A translation performed by native professionals with extensive experience. A truly personalised customer service through a personal project manager who will supervise your project from start to finish. The support of a linguistic partner who will work with you on your project as if it was their own. Competitive rates adapted to the actual degree of complexity of your texts, with no surprises or small print. You know, as we do, that globalisation has radically changed the way to do business. Local economy practically no longer exists. You already have employment, tax and communication advisors on your team who help you to achieve your global goals. Do you also have reliable linguistic advisors who can help you with your legal translations? There are many professional sectors that have their own terminologies: from machine instructions to architecture and the automotive industry, up to construction and renewable energies to name a few. Have you translated your company or your e-commerce corporate website? Is your global virtual window shop in other languages? No, we don’t mean that automatic translator that spews out nonsense to your potential clients. What are the benefits of having your website professionally translated? One of the industries that generates the most wealth is without a doubt the tourism sector. There are many kinds of companies in this sector: restaurants, hotels, tour operators, travel agencies, tourist guides, car rental agencies… Thousands of professionals make a living every day in an industry that goes hand in hand with tourism translation. If you have a small or medium-sized company (or if you head a corporation) you will possibly be interested in reading this. One of the translation specialities that has aroused most interest in recent years is the translation of financial documents. Over the last few years, we have experienced an amazing boom in ICTs (Information and Communications Technologies). Quick and easy access by the global population to smart mobile devices (smartphones and tablets), together with the higher degree of software and app usability, have given rise to a new great cultural, sociological and economic revolution: the technology revolution. As you know, the audiovisual industry is a significant source of revenues for companies all over the world. How can your company compete in such a dense, globalised market? How can you stand out from the crowd? 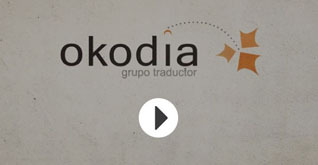 Simple: by adapting and translating your audiovisual products in a rigorous, high-quality way. Information is placed at the forefront and is enriched by the contributions from scientists and experts all over the world. In this multidisciplinary, multilingual and collaborative world a key factor plays a central role: full understanding and expression of the texts resulting from research, whether they be books, online environments, scientific journals, speeches, webinars, etc.